Re: Show us your purchases! 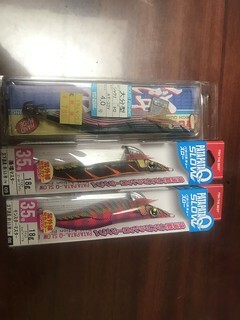 jedgpz wrote: Had a friend go to Japan and brought these back for me. Got a few stradic 2500 now. Talk about being a tackle rat. Fish-cador wrote: Got a few stradic 2500 now. Talk about being a tackle rat. sold for $60. you got yourself a flexible and unbreakable plastic handle clip. $5 for postage. I accept money order or paypal. You sold your stradics ?